Two weeks ago, we were talking about Next & Tilly (our oldest) asked about it- what it's all about. 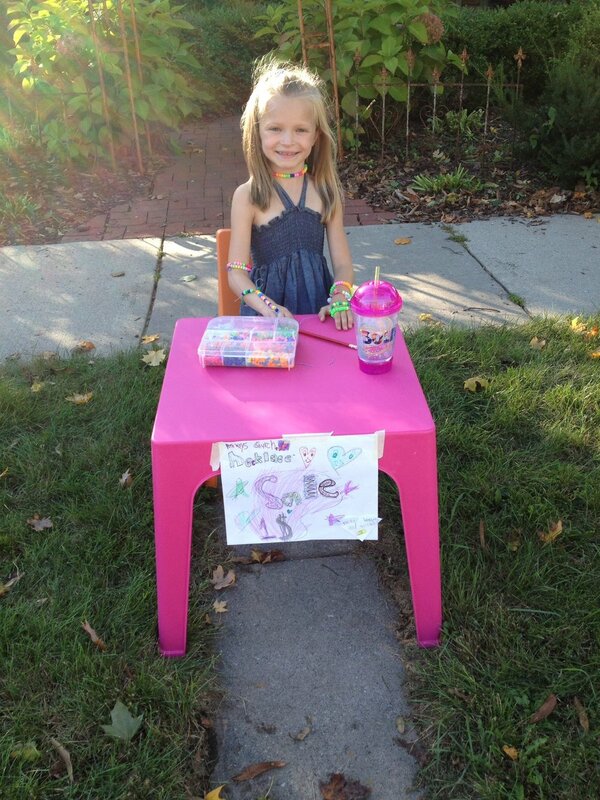 She decided that afternoon to set up a little table to sell her homemade bracelets to raise money for Pathways... Unfortunately only a few people stopped, but she raised $2.00 and was SO excited to bring that for her offering the next week... I think it's important for you to know these small little stories because it just proves that even the wee ones at Pathways are being moved and touched by God, through you & your team of amazing people- and like Micheal said this morning, the congregation as well! This little girl of our's is growing into a very faith-filled, generous, and God-loving/living young lady and I know that our wonderful church has a great deal to play in that!! !